Otherworld Interactive, a Los Angeles-based virtual reality content studio co-founded by 3 SCA alums, is breaking down boundaries while building brand new worlds. Andrew Goldstein, Robyn Gray, and Michael Murdock, the visionaries behind Otherworld’s impressive slate of virtual reality experiences, met as students in the master’s program in SCA’s Interactive Media & Games Division. After graduating from SCA, they combined their talents to form one of most innovative, highly sought out virtual reality development studios in the growing industry. Their projects have been featured at festivals and conferences throughout the country, from the Game Developer’s Conference to the Tribeca Innovation Week’s Interactive Playground, and amongst fans of the emerging field of VR, they’ve developed a reputation for creating some of the most transcendent virtual experiences available. 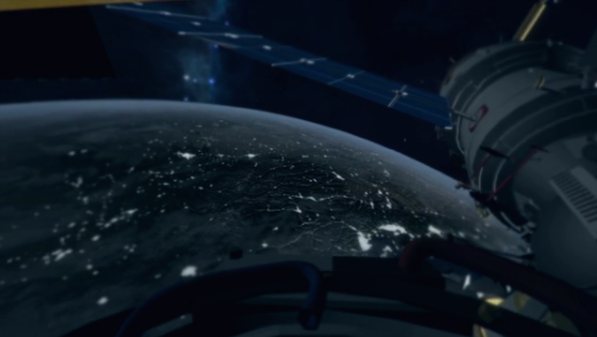 Spacewalk, designed by Otherworld in 2013, gives users an opportunity to see the expanse of the universe through the eyes of an International Space Station astronaut, was one of the first virtual reality experiences widely available online. Another one of their projects, Café Âme, is an exercise in intimacy, placing users in the carefully crafted setting of a cozy French cafe, and creating an incredibly intimate world that feels remarkably full by virtue of its focus on the minutiae and details of daily life. Since then, after tackling the creation of universes both big and small, Otherworld Interactive has not stopped innovating and pushing the boundaries of virtual reality. 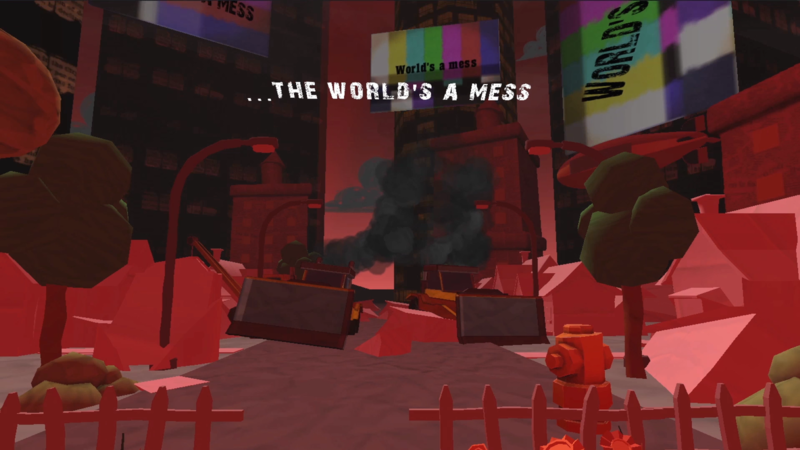 Their latest project, World’s A Mess, is a virtual reality music video adapted for Android devices via Google Cardboard, a low-cost virtual reality viewer that allows phones or other mobile devices to be used as basic VR headsets. To make this experience possible, Goldstein, Gray, and Murdock teamed up with Grammy-award winning artist, Steve Jordan, and the NYC-based indie group he created with his wife, Meegan Voss, The Verbs. The experience utilizes simple, look-based controls and head tracking to allow users to explore a custom-built animated environment that changes in response to the musical cues and song lyrics. “We created a world that exists all around the audience, creating a visual experience that mimics and complements the auditory,” said Gray, who serves as Otherworld’s chief narrative designer, in addition to being a co-founder. All of the animations, visual effects, and colors are dynamically driven by the music. As one of the first experiences of its kind, World’s A Mess is one more definitive step towards virtual reality’s imminent mainstream popularity as a powerful and potent storytelling medium. 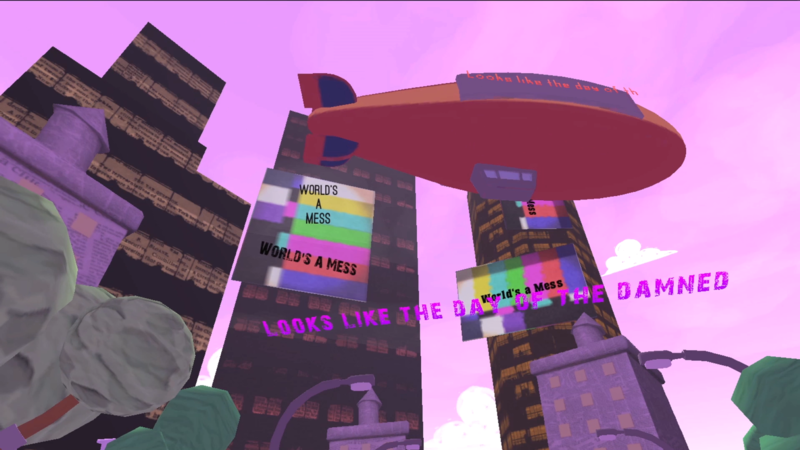 The World’s A Mess audio-visual virtual reality experience is available now on Google Play.